How Much Money Can I Make Doing People's Taxes? 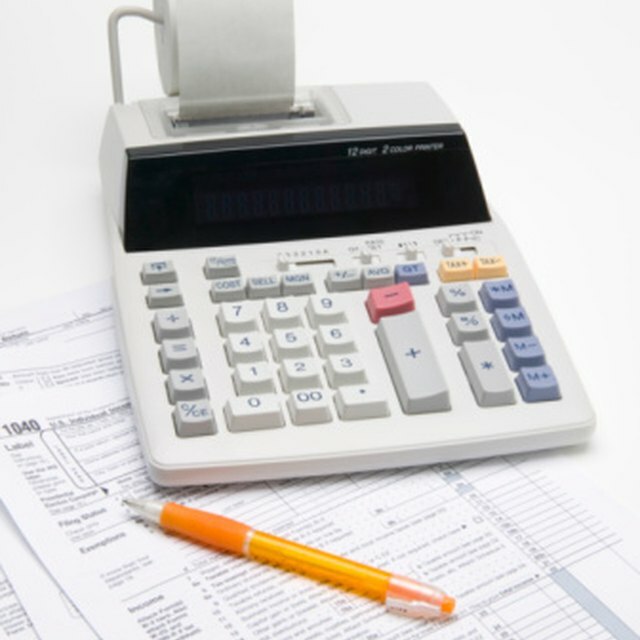 The tax preparer business is very competitive with both major chains and independent preparers competing for clients. Both before and during the tax season, you have to be aggressive to draw in new customers. One option is to create a well-designed flyer that describes the specific benefits you can offer a tax client if he decides to hire you as a preparer for the season. Use a standard word processing or layout program (like Microsoft Word or Publisher) or a professional graphic design layout program (like Adobe InDesign, QuarkXpress or Adobe Illustrator) to lay out the flyer. If you're not familiar with this task, Microsoft Word or Publisher might be preferable since it offers free templates on the Microsoft Office website (see Resources). Type the name of your tax office at the top of the flyer. Use a large, bold yet simple font (like Arial or Helvetica) and set the size between 50 and 72 points. Use no more than one or two common font styles, like Arial, Times New Roman, Helvetica or Tahoma, and stick to a black color throughout the flyer to keep it professional. Add an image of your tax office (interior or exterior) under the name. Outline your professional experience or that of your tax preparation team toward the middle of the flyer. This will make new customers feel more confident that you are professionally trained and authorized to do taxes. You can list your credentials in bullet-point form. Set the font size at about 18-point. Explain your general offerings for tax preparation. For instance, if you have a "quick refund" option or specialize in complex business taxes, say so on the flyer. Again use an 18-point type size. Write in a special offer for both new and previous tax clients. For example, you can offer a flat rate for a simple 1040EZ return for new customers or a percentage-off deal for a repeat customer. If your experience and reputation is similar to other preparers in the area, the deal is what will differentiate you and draw in business. The type size describing the special offer can be slightly larger--about 24-30 points. This is one exception where you can make the font color red or blue, if desired, to draw more attention to that information. Type in the full address, phone number and website of your tax service at the bottom of the flyer (18 points). Produce the flyers in color on your home printer or send the file to your local copy shop for production.